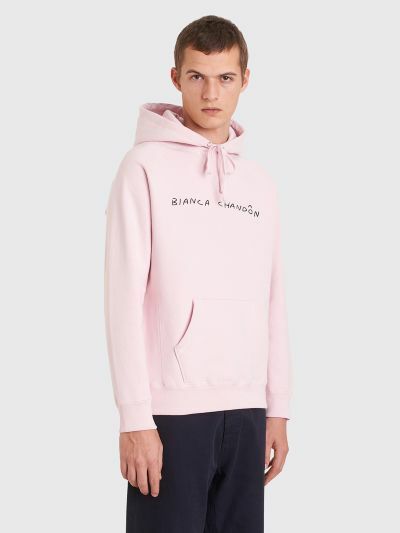 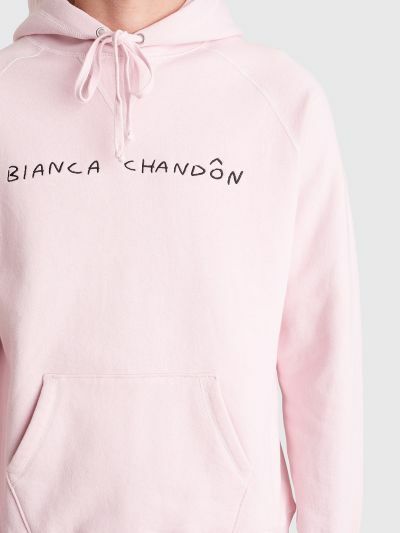 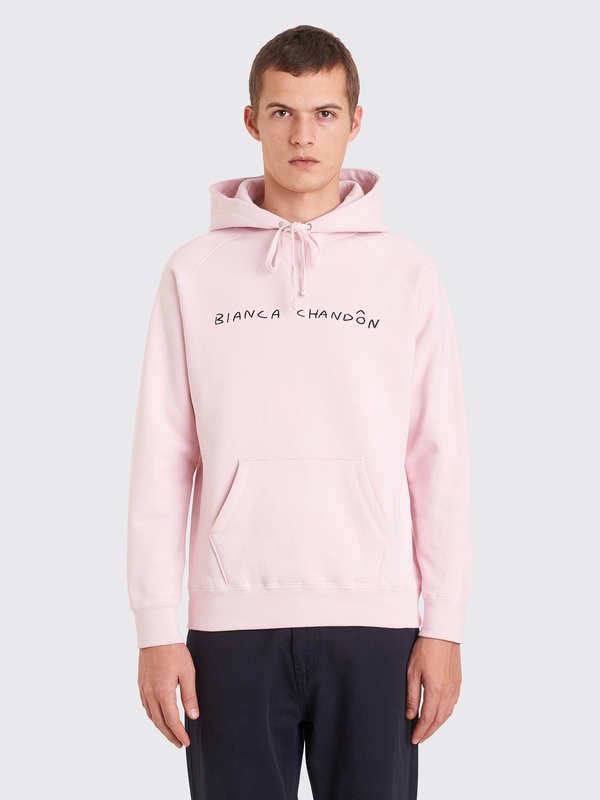 Sweatshirt from Bianca Chandôn with a drawstring hoodie, contrasting logo embroidery on the chest, a kangaroo front pocket, raglan sleeves with ribbed cuffs and a ribbed hem. 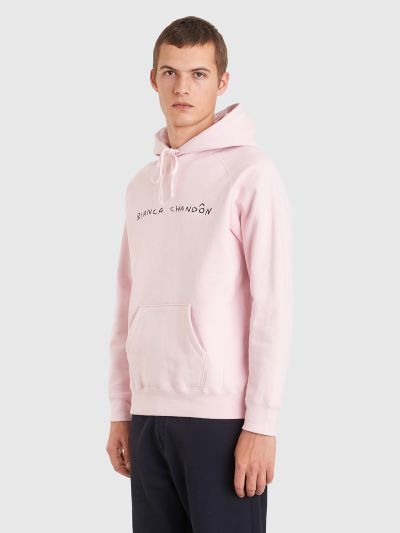 Pink sweatshirt. 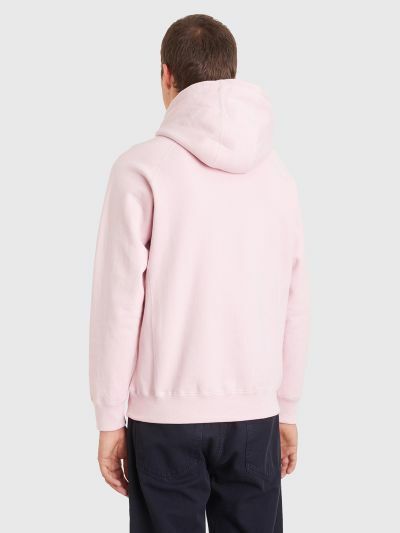 Made in Canada from 100% cotton.